When Anne Noble was developing her project for APT9, she prepared a special booklet of bee-related readings for QAGOMA Members to read aloud in front of her work. Join local author and playwright David Burton at a 'Reading the Bees' session to engage with art, science and writing. Includes a take-home copy of 'Reading the Bees' made by APT9 artist Anne Noble. Go along and see the Beehive in full action - the outlet to the outside world and the way the bees interact with one another. Its a fascinating insight into the world of bees. Someone mentioned when I went to one such event, that "the bees do their work and their activities in darkness". This struck me as true and something I had not appreciated before and it also made me realise how wonderful it was that Anne Noble was giving us this insight into a beehive in a Gallery. A practising photographer since the 1970s, Anne Noble creates bodies of work through what she refers to as 'essays' or 'narratives' of photographic images. In recent years, she has turned her attention to the honeybee, a small creature symbolic of our ecosystem's wellbeing. In her engagement with the bee, Noble has worked with a range of media, from moving image and microscopic photography to installation, sound and community engagement. She has also become a proficient beekeeper. 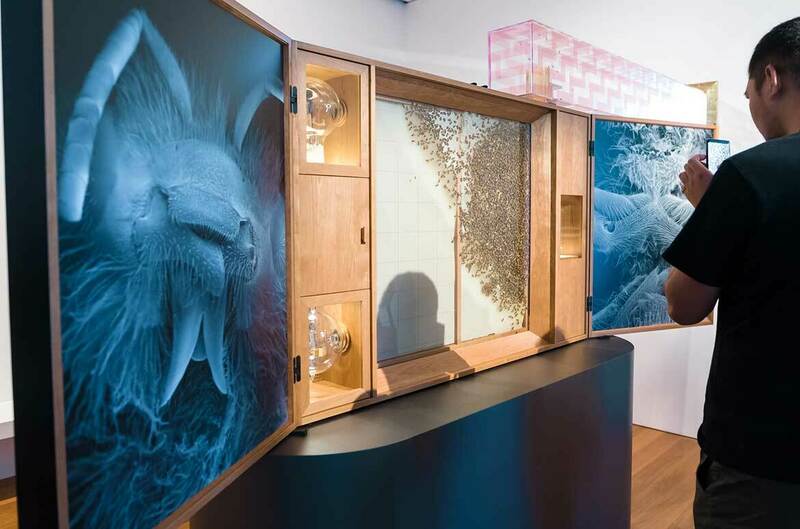 Noble has created a multi-part project at the heart of which is Conversatio: A cabinet of wonder 2018, a functioning beehive or 'living photograph'. 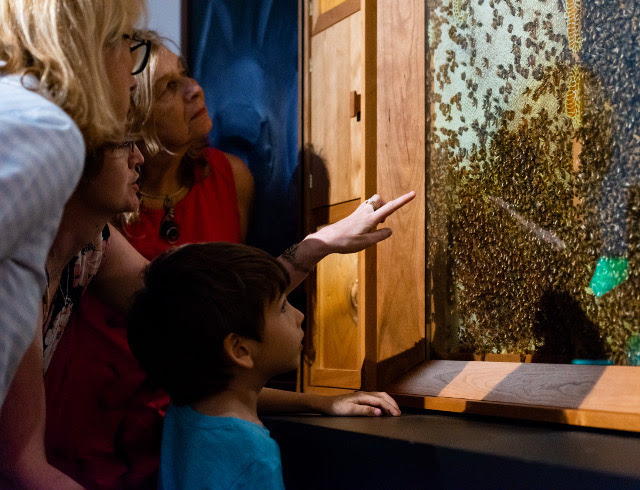 Bees can be observed entering GOMA, before disappearing inside the cabinet and going about their normal activities; they are also visible when the cabinet is opened daily for 20 minutes at 11.45am, 12.45pm, 2.45pm and 3.45pm. Why? Seeing a beehive in a Gallery is different ! Cost: Ticketed, see rates for Members and Guests.